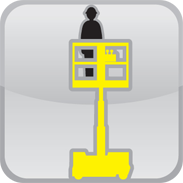 Commonly referred to as cherry pickers, for reaching out as well as up. 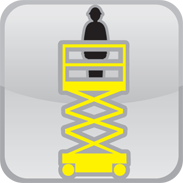 Commonly referred to as driveable scissor lifts or just scissors, for straight up access. 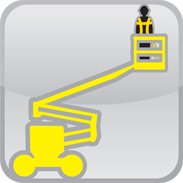 Commonly referred to as mast lifts, vertical lifts or personnel lifts for straight up access, low weight. 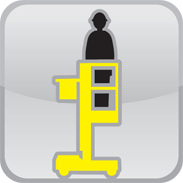 Commonly referred to as personnel lifts, PAVs, man-lifts, for straight up access, very low weight. 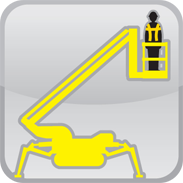 Commonly referred to as spider lifts, working at height solutions that reach out as well as up on uneven or sloping ground. 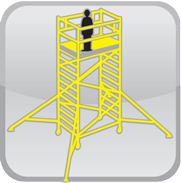 The solution to working at height challenges where standard MEWPs, scaffold towers, or steps and ladders won't work.